a wrong line can not leave pass the brow. Ask to local acro team "Fall With Style acro team" some information if you need it. Do you have a cool footage about Canfedin-Bait del Germano? Do you know about an event related to Canfedin-Bait del Germano? 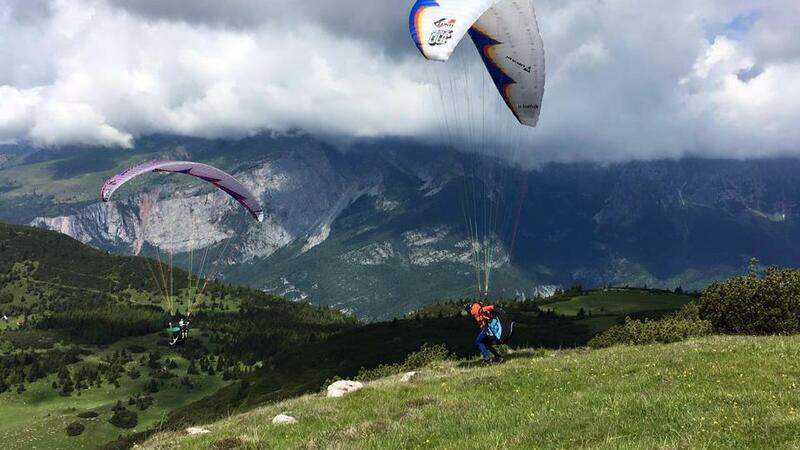 KING OF BRENTA is the first acrobatic paragliding world cup in the middle of the Alps, between the amazing Dolomites. Up there, in the heart of the most famous european mountains, at the sight of the group of Brenta, will take place the most adrenalinic event of the season. During the competition, the best pilots from all over the world will reach the Molveno's lake shores, in order to show the most awesome and dangerous figures and tricks up in the sky. It will be performed both single and syncronized flight. There are not competitions on Canfedin-Bait del Germano.